This article looks at two high profile situations in Malaysia and how these very different institutions used technology and social media to communicate with and engage stakeholders during a crisis. Syabas (pronounced Sha-bas) provides water to the state of Selangor, the largest and most developed state in Malaysia. Following a diesel spillage on the Selangor river (a major source of water) at the end of August 2013, Syabas shut down four treatment plants, essentially cutting off water supply to nearly 1 million homes. I was personally affected by this issue and was without water for over 24 hours. 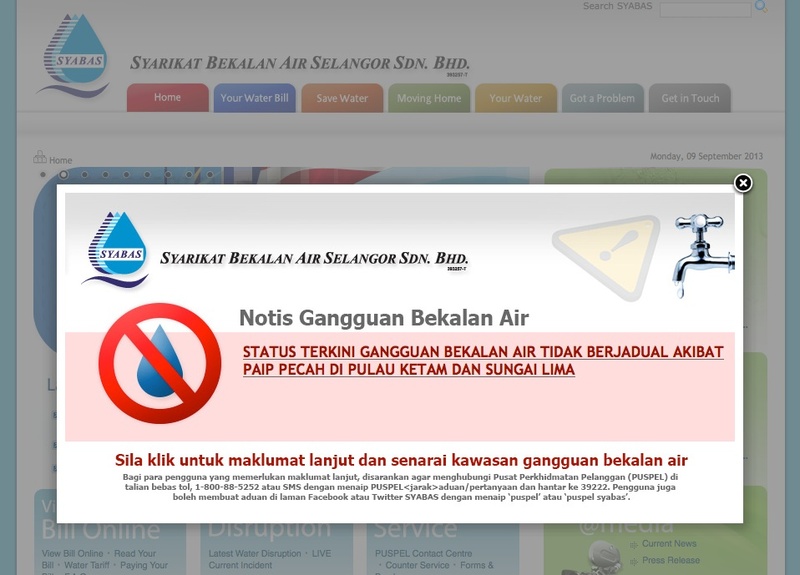 When my taps ran dry, the first thing I did was go to the Syabas website where I was greeted by a pop up press release telling me there was no water. I also found a 1800 number. I called the number and a recorded message told me to go back to the website. I revisited the website which told me that I was living in an area that was affected by the shut down. This wasn’t really very helpful as I new this because my taps were dry. So my next stop was Twitter. I found the Syabas Twitter feed and fired off some tweets asking for more specific information that would allow me to plan for my family of seven who could not shower, flush toilets, wash clothes and make contingency plans for our open house scheduled for Sunday 1st September. None of my tweets generated a response. 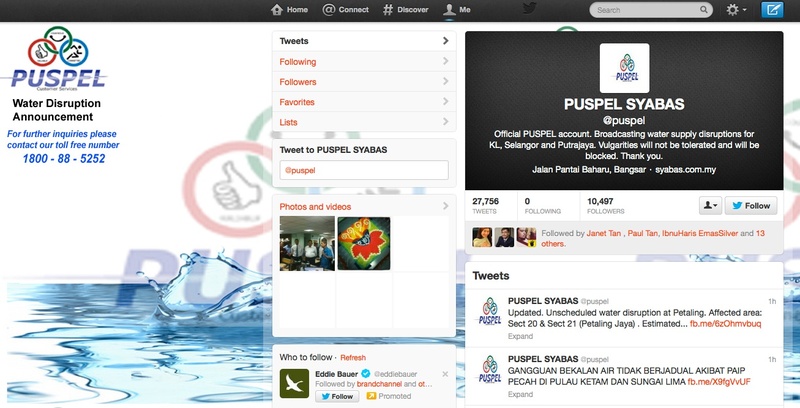 I was stunned to find Syabas has over 10,000 followers on Twitter but doesn’t follow one person. I appreciate that not many companies have the resources to listen to what their customers are doing all the time however, one of the key reasons for being on Twitter is to be able to quickly identify conversations and trends about their business, their brand and their services. 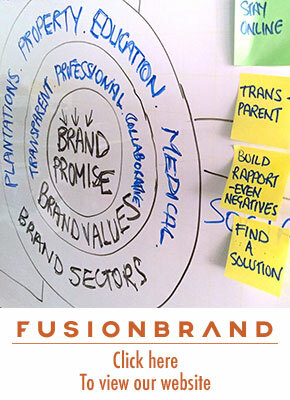 This then allows brands to address issues in a transparent, prompt and empathetic manner and also leverage positive comments and discussions, join in with the conversation and encourage engagement. So after trying the 1800 number, the website and the Twitter page, my last resort to try and get some actionable data to help me plan ahead was to go to the Syabas Facebook page. No luck on Facebook because Syabas had disabled the comments function which meant that I could follow them but couldn’t make any comments! As they were only reposting the press releases posted on the website, this was pointless. So I was unable to source any information that was relevant to me or get specific answers to specific problems. Incredibly, Syabas was on every social media platform yet was using those platforms not to engage with consumers but to broadcast only the messages it wanted consumers to hear. All Syabas seemed to want to do was push generic and pointless press releases to consumers. Yet the whole point of these platforms is to allow consumers to interact with the brand and get closure on personal issues. And this is particularly relevant when it comes to negative issues or complaints. During a recent stay at the Marina Bay Sands, I complained on Twitter. Within 30 minutes the MBS was following me and asked me to follow them back so that they could send me a Direct message. Not only did this make me feel someone was listening, it also allowed them to take my complaint out of the public domain. The Marina Bay Sands has 8,500 followers and follows almost 1,700 people. The irony of this situation is that Syabas actually dealt with the physical problem very efficiently and the water was back online to over 650,000 consumers within 36 hours. But by then it was too late and what could have been a PR success turned into a social media nightmare as frustrated consumers turned to forums, online newspapers and social media to vent their anger. Sekolah Sri Cempaka is a private school in Malaysia. It quickly embraced the arrival of technology in the classroom and places a great emphasis on communicating with students via its digital platform, Schoology. On Saturday 7th September 2013 a fire broke out at the school in the exclusive neighbourhood of Damansara Heights in the suburbs of Kuala Lumpur. Within an hour Twitter was awash with chatter and soon after images of the fire were all over Twitter and Facebook. This fire could not have come at a worse time for the school with students busily preparing for critical exams. The school quickly announced the fire simultaneously on Twitter and Facebook. The school then expanded its reach on both Social Media and the school Intranet to communicate with concerned students and parents. Throughout the next 36 hours numerous rumours developed and began to spread however, the school was quick to inform stakeholders of the real situation. By acting quickly and in a transparent, engaging manner, students and parents were reassured and potentially damaging rumours were negated, before they got out of control. As the crisis unfolded, the school maintained contact with students and parents. Sharing with them the important developments – news of the damage, the fire department inspection, plans by the school, discussions with the education ministry and so on. This gave concerned and busy parents a regular stream of credible information which allowed them to plan ahead. 1. Every company, government department and institution should have a clear, transparent, policy on social media and a clearly defined social media crisis management strategy to address comments/posts on the website or social media pages during the crisis. And this should be part of a grater social media plan. 2. Make sure you have enough properly trained staff to administer your social media pages and respond to issues raised by angry consumers. 3. Unless there is a potential threat to your organisation or your staff, transparency is key. 4. Always, always, always engage. Ignoring consumers or shutting down conversations is the worst thing you can do. 5. Have a back up solution ready for such situations. These two institutions responded very differently to a crisis. One got it right, one didn’t. Which one best represents your brand? Thank you for the mention! We have also established and activated a dedicated, internal Online Communications Centre to specifically address inquiries and other concerns as well as keep our entire community informed about actions being taken. A Cempaka parent wrote this. Just saying. The golden rule of getting publicity: You gotta know someone, somewhere to get featured. I don’t really understand your comment and what you are getting at. Please elaborate. Can’t really compare Cempaka VS Syabas. While there are lessons to be learned, Syabas is a monopoly whereas Cempaka is up against competition with other private schools. 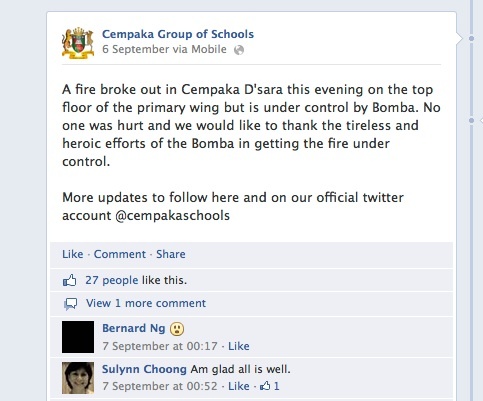 Of course Cempaka had to do something, and quick. Can you imagine a mob of angry parents pulling their children out of Cempaka and relocating them to another school? Such a cynical view that of course Cempaka had to do something because of competition shows perhaps your ignorance of our values. Cempaka did not react swiftly for reasons of competition or profit, but simply, like we teach all Cempakans, it was the right thing to do. The trust given to us by our parents is not derived from monetary compensation, but their children’s future which is just as much a concern to us. Dato Freida herself broke down and wept when she saw the damage the fire had done. It was like a part of herself was lost, just like she regards each and every Cempakan as one of her own children. The school is more than assets on a balance sheet to us. It is a home away from home where we learn, grow and mature together as a family. Daniel, thanks for commenting. Syabas might be a monopoly but it won’t be for much longer! But even a monopoly has to know how to communicate with and engage its customers. The fall out from its poor handling of this event will last a long time. 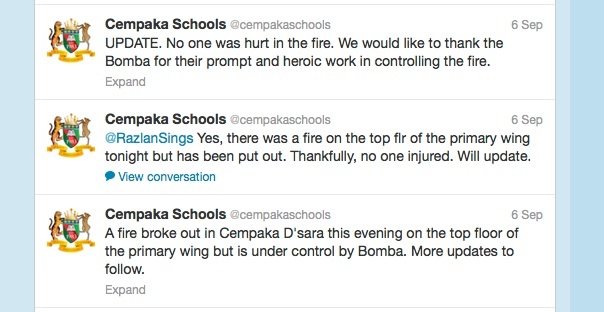 Both Cempaka and Syabas had to do something and both of them did do something. It’s what they did and the way they did it that counts. 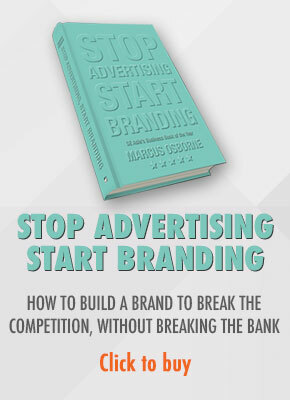 rentseekers do not seek to build brands. why do they need to? monopoly businesses do not look to achieve good customer service levels. Indeed, they can threaten the customer with withdrawal of service…. Syabas was engaged in interactive media and chose to turn off listening to its customers … because it can afford to and it did not give 2 hoots. Syabas may cease to be a monopoly. if so, this would come from a source outside the customer’s control. so the comparison between syabas n a school is not a good comparison. yes- big contrast in styles. but big contrast in context as well. I tend to be a little more generous than you. I think Syabas wanted to communicate with stakeholders but because of poor planning and the lack of a crisis plan, was overwhelmed by the response, panicked and did what many companies have done which is shut down all platforms. If you are a monopoly it makes sense to do whatever you can to hang on to that monopoly. Fail to deliver value and you’ll soon lose your advantage. I disagree, the comparison is valid, and the assertion that it is out of context is flawed as, in my opinion you did not appreciate the entire context, in that Syabas is a monopoly by government concessions, meaning they are still beholden to stakeholders via the government. This is precisely the reason that they will lost their monopoly granted to them by the state govt. There is absolutely no reason that Syabas can’t have better customer service, because their survival depends on it. They failed. Syabas is not a true monopoly because the barriers to entry are not within their control. Many thanks for taking the time to comment. I couldn’t have put it better myself. As a monopoly there is every reason to deliver good service in order to hang on to the monopoly!